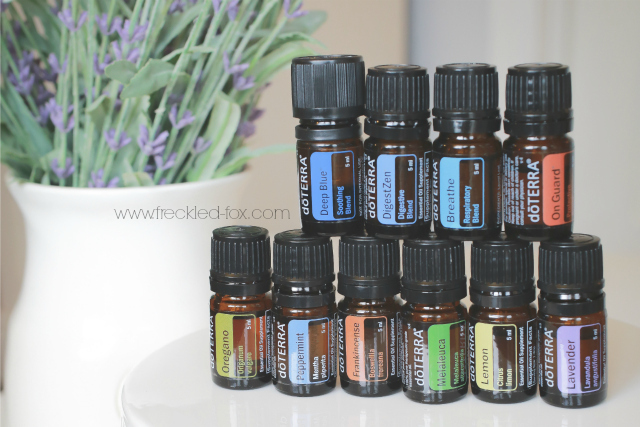 The Freckled Fox: Top ten essential oils & favorite ways to use them + a giveaway! 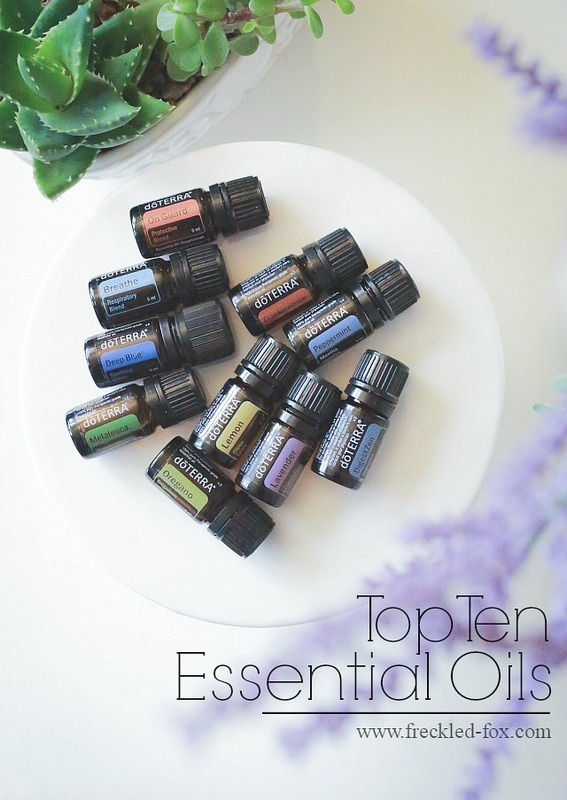 Top ten essential oils & favorite ways to use them + a giveaway! Well essentially (pun intended) the back story is that I grew up with my mother using homeopathics and natural remedies on us kids all the time whether we were sick or hurt or whatever, so adding in essential oils was very natural and easy after I got married and started looking for my own natural remedies for my family. I first really got into using them and saw the amazing benefits when I started seeing a midwife for our first home-birth we were planning during my second pregnancy, and I was hooked after starting that very first blend she gave us! I used different oils all throughout the rest of my pregnancy and felt the huge difference the aromatherapy made in the ease of my birth. Flash forward a couple more years and we use them for so many things from putting them into homemade bath-soaps and household cleansers to helping to ease headaches and sooth sore muscles, and while I don't believe they have magic *wink* abilities to mend broken bones or things like that, they have changed our lives so much for the better, and I couldn't recommend them enough! And that's where doTERRA comes in. 1: Breath // is a blend used a lot around here to sooth congestionand coughs by rubbing into the chest, I love rubbing some onto the kids (diluted with fractionated coconut oil) or myself or simply inhaling it out of the bottle when we may need to 'breathe' and calm down a bit.haha I use it on ourthroats to ease them when they're sore, and the list goes on and on for this one! 2: On Guard // breaking these down was just as hard as I though it would be, but I'm trying to just stick to a few favorites! On Guard though is wonderful when it comes to the Fall and Winter seasons (colds and flusgalore) to help fortify against those cold and flu symptoms, we add it to our dishwater, we add it to ourlaundry, it makes a great disinfectant and we put it on insect bites and stings! 5: Peppermint // huge in helping tocalm morning sickness by applying to pulse points and back of the neck, applying a dab to the temples cansooth headaches, rubbing some into the chest and using deep breaths can help alleviate congestion, and coughs. This is one that I really could go on and on about and that we use very often! 6: Lavender // by far my most used and favorite essential oil of all time! I actually use another brand of lavender so I can order it in bulk and not spend a small fortune.haha But basically we use it every where, forevery thing, and 24/7! It's such a powerhouse oil. In the morning and at night I dab it on my pulse points, forehead, and anywhere else I feel like. It calms and refreshes my mind and helps me relax and feelless stressed out. I use it on the kids every day too and love thecalming effect it has on everyone. It's also great for fighting swelling,bug bites, infections, headaches, cuts and scrapes, blemishes, allergies, cold sores, sore throats, itchy skin, flu symptoms, rashes, sunburns, and on and on! 8: Frankincense // we normally dilute to at least 50:50 with fractionated coconut oil or vegetable oil so it does last a long time, but I think inhaling it helps relieve certain levels of stressand lifts moods, I like to use it onstretch marks and scars to fade them, I'm currently using it to help with a few warts that Ellie has on her hand, and I use it to keep mysenses heightened when I'm sleepy. Also I like to apply 1 drop of un-diluted to my nails and it helps strengthen them when they're brittle! 9: Deep Blue // we use mostly tomassage into sore joints and muscles after intense workouts, and it really works well to bring downswelling and bruising when any of the kids take a fall or something of that sort. 10: Degest Zen // as the name suggests we use this most to help with stomach aches and to ease indigestion and bloating, cramps, etc. I also used it on my pulse points to ease my nausea with morning sickness and motion sickness, and I use it the same way for Martin and the kids when they're feeling sick because I think just inhaling with deep breaths really calms the stomach. Well I'd better stop for now! There are lots of free reference cards and things you can look up on google for the different areas and things to use essential oils and how many drops exactly are recommended, etc, but for myself and my family I think of it more like instinct, and I just go with my gut most of the time! Generally though when I'm applying oils to my kiddies, if I'm not diluting them I'll usually put it on the bottoms of their feet, back of their necks, inside of the wrists, and sometimes on their temples when I'm not trying to help them with something specific ( like putting it on the feet if they have sore gums, etc). For myself and Martin, again unless it's something like soothing a certain sore muscle we love to put the oils on our wrists, back of the neck, temples, inside of the elbows, bottoms of our feet. I feel like after putting it on at least a couple of those places I can really be engulfed in the smell if that makes sense and feel the good effects of the oils for hours afterwards. Okay I promise I'm stopping.haha But I'll just pause for this post and be back soon with another post highlighting more of our favorite uses for essential oils and answering more of your questions, but there's one last thing for today's post that I'm so so excited about! My sweet friend Ashlee from Use Pure Oils is giving away 1 Family Physician Kit to one of you, my sweet readers! This kit comes with all ten of the oils that I've talked about today, and I couldn't be more excited about getting these to one of you. Below if the rafflecopter widget--you know the drill! A little more about Ashlee: I am a stay-at-home mom of 3, a business owner, and an energy healer. I love to hang out with my family, travel, beaches, reading, Trader Joe’s, and eating awesome food every day! I am happily married to Justin, who is an amazing dad and ultra patient husband. We have built a lifestyle where we can work together at home - both in our business and raising our family. I started using essential oils simply as a natural option if my kids were to get sick. I wanted a natural and affordable way to help my little ones. Once I realized the amazing power of the oils to help not only with physical things, but with emotional support after baby #3, I became addicted! From tummy aches to tantrums, I use oils to help with the crazy moments that happen in our home. Now I teach wellness classes all over and empower others to use natural remedies first. I offer free consultations and samples if you email me at ashlee@usepureoils.com. Thanks so much for visiting and reading today! It's great to share things that I'm passionate about and answer your requests and questions at the same time. Feel free of course to ask any questions you may have and I'll be sure to answer them in another post soon, and in the meantime I hope you've enjoyed this post and that you let my know any thoughts you may have down in the comments! I'd love to share this kit with my sister! She's been dying to implement EOs with her family! I'd share mine, but she lives across the country! Thanks for all this information. I learnt a lot! Love love love doTerra!! I use frankincense daily, and would love to expand my collection. This is such a great giveaway-especially with cold and flu season coming up! I have heard such great things about all the oils! The only one I have is ongaurd and I diffuse it in our house to help my family stay healthy. The smell is amazing ! I love essential oils and have used basics like tea tree, peppermint and eucalyptus for years but I am just starting to experiment with blends. This doTERRA kit looks super versatile and I bet they all smell amazing. OK, I'm not trying to be the party pooper here. But do these oils REALLY REALLY help? Or is it just the psychological effect that makes you feel better? I use lavender on my son every night because breathing it really helps him to calm down. But when he was five months old he caught a really bad cold and my mother in law introduced us to do Terra oils. They didn't help at all though! He was sick for over two weeks and could hardly breathe. We used breathe and on guard and frankincense and peppermint... Everything! Next time I opted for classic medicine. Do you exclusive use oils on your kids whenever they get sick? And do they really get sick less frequently than kids that don't use oils at home? Why didn't they work with my son? I use OnGuard daily on the bottom of my feet and diffuse every three days. Deep Blue is also a must in my house! I love the fact that doterra is CPTG. This is awesome! I have been wanting to do this forever! I'll definitely be checking out these products, whether I win or not. I have never used essential oils but have been wondering for a while about how well they work. The lavender sounds lovely! LOVE this! I'm seriously sharing this with everyone today. My mom also raised us with homeopathic remedies, and a lot of these oils I have in my medicine cabinet at home. Hello, oregano oil! I have only been able to use a sample size of Frankincense. For someone who has suffered severe migraines for almost 8 years now, and tried numerous medicines, I was shocked at the immediate and long last relief I experienced from Frankincense. Since my sample has run out, I have not been able to purchase it because of them being so expensive. This is possibly the best giveaway I could ask for right now. I love peppermint oil. It's the only thing that has ever even touched my migraines, and it works better than any OTC painkiller! I have just been introduced to essential oils during my pregnancy this year. I've only tried clarycalm but would love to try these for our little family. I love using essential oils for cleaning, but I'm interested in using them for health reasons now as well! My sister has raved about them and I'm curious to see who they'd work for me. Our whole family (and a lot of people we know) has been getting into e. oils lately. I've heard so many people rave about them - it'd be great to have a collection to use and experiment with! Hey Emily! I am 7 months pregnant with my first and I was just wondering if you could recall the essential oils you used during your home birth. I love the idea of bringing some into the hospital with me. I've been researching essentials oils for awhile, but I'll admit the cost has made me reticent. I'd love to win a set to try! We love doTerra!! We use lavender, lemon and peppermint the most in our house.... but that is also all we have and can afford right now (yay tuition!). But i have a very fair skinned husband, and well i dont pay attention all the time in the kitchen so lavender is our best friend. It heels burns faster than anything you can imagine! I forgot sunscreen on a 50 mi bike ride and this cleared things up so fast! We also mix all three to help with our allergies! LOVE doTerra and would LOVE to win this! i actually just got my first kit a couple weeks ago, and so far I really love it. They have worked wonders for my headaches without medication. I don't have any of the medicinal blends shown here though and would really love to work with them! So glad I could help you out! Just helping a fellow blogger in need! 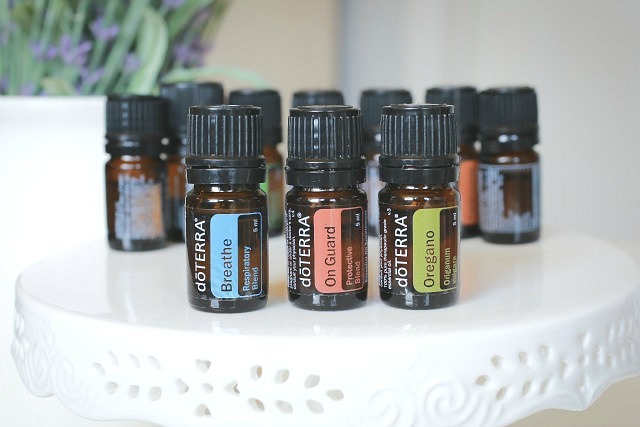 These essential oils look amazing, and I would love to check them out! I've been hearing so much about EO lately and would like to start using them in our home. My favorite essential oil is peppermint - I've also heard of a humidifier system where you add essential oils and water and it is released into the air as steam. My favorite is Lavender. We use it in a diffuser everynight and I can't sleep without it. I would love to win this physicians kit because it includes so many of the EO's that I would like to try. Thanks!! I love natural alternatives! I have only used peppermint oil before (we make our own toothpaste) and we love it but we would love to expand our knowledge and use of other EOs. Such a great giveaway, great idea! I am 9 months pregnant and would love to start using essential oils for my family once the baby gets here next month! (Sorry if this is coming thru twice) I've never realized how versatile essential oils could be! I feel like this is something that I'm missing out on! And I'm a huge germaphobe and it sounds like a necessity for the cold and flu season. I have been wanting to try this. So excited for the free webinars! I'm not sure if I would believe in using oil everywhere, but if I win, I'd love to try and see if they really work. If they do, I'm sure I'd buy them in stock. I'd love to win this kit. I use doTerra oils and absolutely love them! Lavender is my favorite and most used, even the kiddos and hubby love them. I've never used EO but I have heard wondrous things about them. I would really like them for cleaning around the house as well as using them on rashes, scraps, cuts, and the like. I'm new to this essential oils thing. I'm excited to learn more. I use Lavender, Melaleuca, and Wild Orange the most. I am still new to using essential oils, but am slowly growing my collection. Thank you for the giveaway! I have never used this brand before but have seen it on several blogs already. However, I use essential oils bought at a nearby herb store. I love to use orange and chocolate oil (the latter isn't EO though) as a perfume. I think it's a great mixture; smells yummy! Also rose and magnolia oils have pleasant smells to work as perfumes. I use eucalyptus oil to scare any bugs away (I heard they don't like the smell). Cinnamon and clover oils work great on my hair after I use henna. Besides EO I think other oils are also great for skin. I use jojoba oil and vitamin E oil on my skin (as a make-up remover and then lotion), and I can swear that my very fine lines decreased because of vit E oil! Would love to win this... I feel like in the last years we a family take too much medication. These oils would be great to start the process of getting off the non-needed medication. I love peppermint oil the best, it helps headaches. I love doTerra and I use their Breathe all the time when my son and I are congested and I'm excited to try them all. I've been wanting to get back into using essential oils, just placed an order for Lavender and frankincense. I'm new to the oil world, but have used oil of Oregano and love it. I'd really love to have this kit since I've been saving to purchase my own for a while. Having a 4 and 2 year old requires a kit like this! Please check out my humble blog at thisismegan.com!! I have nevertried using essential oils, but have heard so maby good things! I'd love to try them because I have a low immune system and am always sick with something. Maybe these could help? I love Melaluca. I use it make a salve for my eczema. It's the only thing that works that gives me fast relief. I would love to win this! I've been saving up so that I can buy the Family Physicians kit. I am trying to use more natural products for my family, especially on my 15 month old daughter. I haven't used doTerra oils yet because I haven't been able to afford them, but I use another brand and use lavender, peppermint, eucalyptus, grapefruit and basil. I would love to win these doTerra oils and am excited about trying essential oils for the first time because I love the idea of finding natural ways to help my family stay as healthy as possible. I actually just started my essential oils journey. 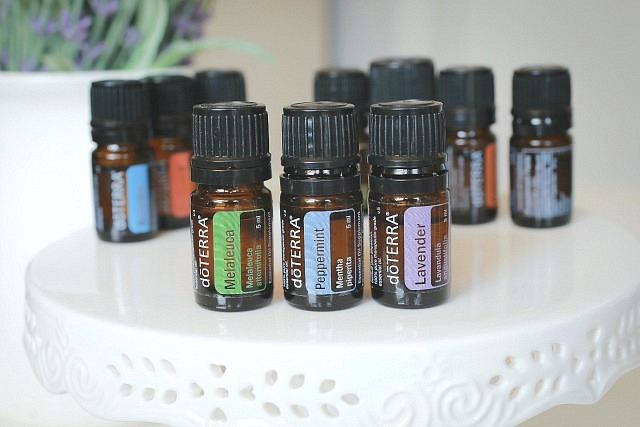 I have been using Young Living, but would love to try out DoTerra too! We love using the PanAway (spearmint and clove mix) for sore muscles and lavender on my 8month old boy! I would love to win these oils!! I'm 32 weeks pregnant and wondering if there is an oil you recommend for labor and delivery? I'd love to win so that I can keep my family healthy through the winter! I started using essential oils about a year ago and I have since been a changed person! Anytime I get sick or just need to relax I love turning to these natural solutions. I have a sensitive stomach so Peppermint is one I keep on hand all the time. 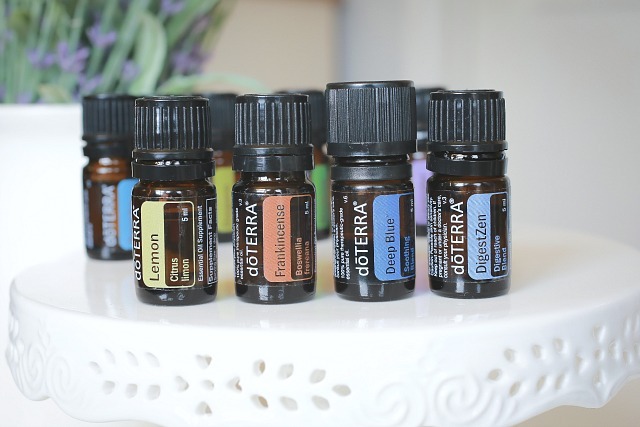 I've heard great things about doTerra essential oils and I would love to try them! I have been interested in trying essential oils for a LONG time now! My husband and I try to go the natural route as much as possible, especially since his dad has acquired a very serious reaction to harsh chemicals. Lavender is my most used for as well! Most definitely! The yoga studio I go to uses the doterra essential oils. I especially like lavender oil - so soothing and relaxing. After several cancer surgeries, I need gentle relaxation! I would love lemon or orange as a wake me up in the morning! I would love to try the lavender because I hear that it's great for easing stress.. I would like to try oils because I have an almost two year old and I don't feel comfortable giving him conventional medicine for every little thing. I'd rather try to give him something natural first to see if it worked. I would be most excited for OnGuard and Peppermint. Would love to win this to try! I'm new to EO's and don't know where to start. This set would be great for a newbie like me! A lot of family members and friends have been talking about EO's and I've been wanting to try them to try more natural routes for various health issues. I'd love having these around to try!